Dublin’s Culture Connects seeks Project Managers from July 2017 to March 2018 on a part-time basis. In 2017 and early 2018, 5 individual cultural initiatives/projects will be developed as part of The National Neighbourhood, through continued wide-reaching conversations with citizens and stakeholders. Dublin’s Culture Connects is an initiative of Dublin City Council partnering the Area Offices of each of the five administrative regions, with Dublin City Public Libraries and Archives, Dublin City Gallery The Hugh Lane, and the City Arts Office with the Dublin-based National Cultural Institutions - The Abbey Theatre, The National Museum of Ireland, The National Library of Ireland, The National Gallery of Ireland, The National Concert Hall, The Chester Beatty Library, The National Archives and The Irish Museum of Modern Art. The closing date is 5pm on Monday 12 June 2017 for receipt of applications by email only. Full job description and application information found below. The Ark wishes to recruit a General Manager who will report to the Director and will be a member of The Ark's senior team. The General Manager will play a key role in delivering The Ark Strategy 2017-2020. This is a pivotal role responsible for the operational and financial management of the organisation. The General Manager will work alongside the Director to ensure the efficient management of the business, legal, governance and HR functions of The Ark. Since it opened in 1995, the Ark has established itself as a key arts organisation for children in Ireland, dedicated to providing exceptional cultural work for children, schools and families. 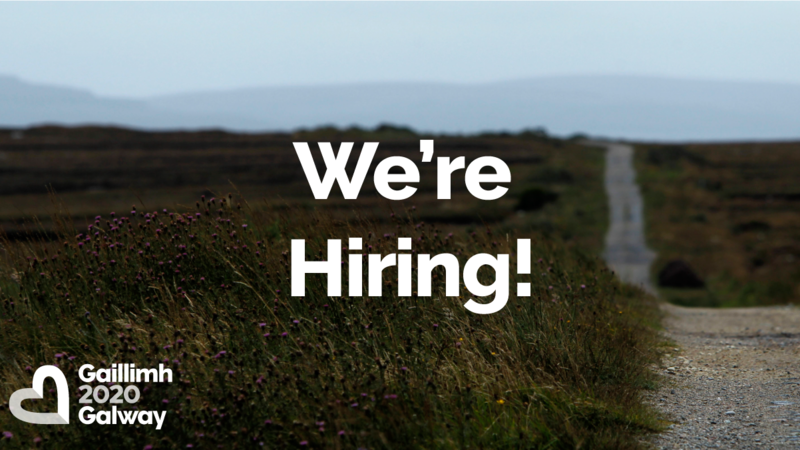 Galway 2020 wishes to recruit two new roles to join the Chief Executive Officer and Creative Director of the Company. The role of Communications Director for Galway 2020 represents a unique opportunity to help ensure that Galway makes waves across the globe as European Capital of Culture in 2020 and beyond through innovative, creative and inspiring communications. This role represents a unique opportunity to help ensure that Galway makes waves across the globe as European Capital of Culture in 2020 and beyond through the development of an organisation that is a model of best practice in terms of performance, governance, and accountability. The Royal Hibernian Academy, Dublin (RHA) and Temple Bar Gallery + Studios (TBG+S) are seeking to appoint a shared position of a Learning and Public Engagement Curator. This new position sees an innovative partnership between two publicly funded, Dublin based visual arts organisations. The contract is for one-year (with a plan to review for two years), offering the successful individual a full-time position, split equally across both organisations. The position has been made possible through Arts Council funding in 2017. The position will suit an experienced individual with a strong track record in education, learning and public engagement programmes in an arts, cultural, or related field. It will suit a highly motivated, creative, practical and flexible individual who will enjoy working as part of a team and across two arts organisations. Dublin City Council Arts Office established a Panel of Artists in 2015 for a period of three years. 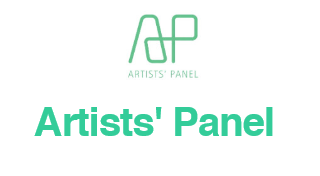 The Panel is open for artists to join throughout the year, but is advertised annually. Artists can apply by completing the Application Form. All applicants will be assessed and shortlisted for inclusion on the panel on the basis of information received on their: qualifications, relevant experience, proven ability, financial standing, capacity to deliver and references. Dublin City Council wishes to notify members of the existing Panel that they may amend or add to their information by completing the relevant part(s) of the Application Form. New applicants must complete the full form. Arts Office, Dublin City Council, The LAB, Foley Street, Dublin 1. 12 noon on Wednesday 14th 2017. The 23rd Junior Galway Film Fleadh takes place from 8th – 11th November 2017 in Galway’s Town Hall Theatre. As the young people’s arm of the prestigious Galway Film Fleadh, the JGFF screens a range of films with young people as the main characters covering topics relevant to them. This includes World Cinema (French, Spanish and German language titles) which support the curriculum, documentaries and Irish language programming. Alongside this we run Social Awareness Screenings, a range of Workshops to develop filmmaking skills plus a Story Pitching Competition that emphasises the importance of writing to the audio-visual industry. This year we celebrate 23 years of entertaining and educating young people through the power of film. Like our big sister festival, the Galway Film Fleadh, the Junior Fleadh is a festival for discovering new talent. An outreach programme of German and Irish language titles is also available to City and County Schools. The JGFF places the work of young people at the centre of its annual festival with a curated programme of student short films from all around Ireland, called Future Filmmakers. Each edition of the festival is put together in consultation with a Youth Council, comprised of film fans of different ages, schools and backgrounds, to ensure that the content is relevant and of interest to the younger audiences taking part. The JGFF annual Storytelling competition emphasises good writing as the backbone of the film and television industry. The Competition encourages students to commit their ideas to paper through extremely open criteria which allows them to submit a story idea for any platform or genre – making young filmmakers and storytellers aware of the full opportunities of the modern transmedia landscape. Programme details available from October on www.galwayfilmfleadh.com or contact Annette on 091 562 200. Young People - Shout Out about What You Do! Are you aged 16-25, and involved in a cultural activity (sports, music, art, drama, video gaming, youth group etc.)? Tell other young people, researchers, professionals and policymakers about what this activity means to you! What’s this about? We are seeking enthusiastic young people ages 16-25 to shout-out about their experience of taking part in cultural activities. A ‘shout-out’ is a 3-minute talk or creative presentation about a cultural organisation, club, project or activity that means something to you. You could talk about your time in a sports club, a rock band, a choir, a youth club, a Young Farmers’ Club, a youth theatre… Or you could tell us about cultural activities that are less ‘organised’: for example, are you part of a video gaming circle? Whatever group or activity you choose to talk about, we want to hear why it is important to you. Where and When? We’re holding a conference called ‘Spaces to Belong to’. It will take place at the Brian Friel Theatre, Queen’s University Belfast, 21 University Square, Belfast BT7 1NN. We’ll bring together young people and researchers, professionals and policymakers whose work affects young people, to explore young people’s perspectives on culture, identity and cultural participation on the island of Ireland today.